Authentic and official BMW 1:14 scale remote controlled sports car. 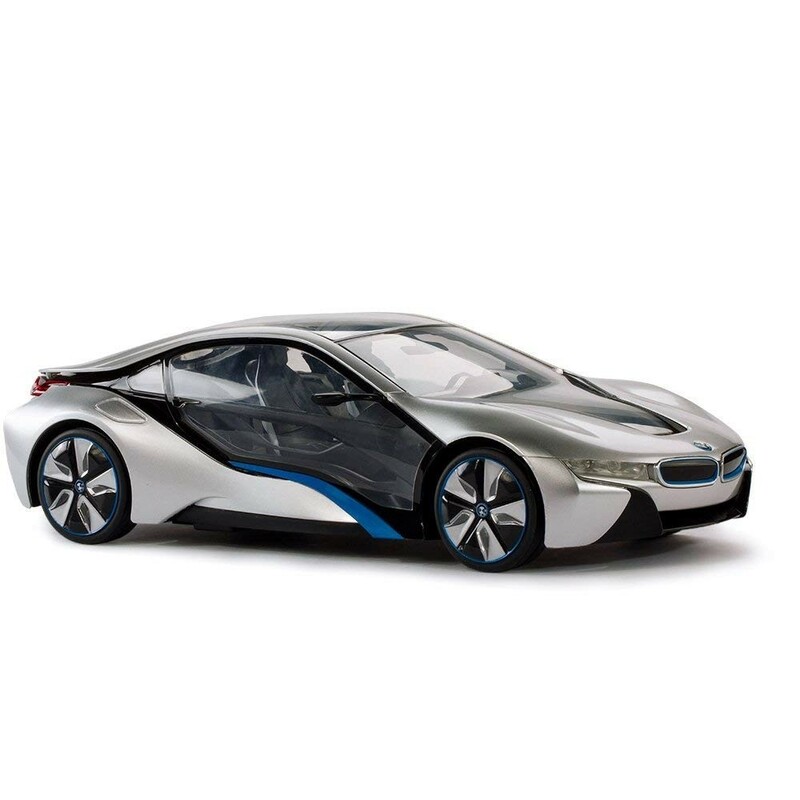 Take control of an amazing real to life replica of the BMW i8 with detailed craftsmanship and coloring. Amazing focus of design both exterior and interior for a pristine level for your collecting taste or just hobby of fast remote controlled luxury cars! Factory Assembled and ready to take on to the road with beautiful design and RC power! Highly Detailed Interior and Exterior near identical to the real luxury car.